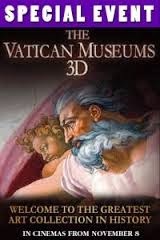 This will be a guided tour of the Vatican Museums and the Sistine Chapel, taking in masterpieces of art history by Michelangelo, Leonardo, Raffaello and Caravaggio among many others. Tickets are now available for members at the Museum in Friary Street at a reduced rate. Book early to avoid disappointment.